Having reached ahead of me, Brody stood on an un-parked spot as if to reserve the spot for me. I got off the vehicle with my pawed friend in tight leash. Grimacing about the agonies of containing my mad canine especially when passing or stopping by an eatery, I walked with Brody till the front of the cafe. He turned around and asked what he could order for me. I told him – “Just a strong hot Flat White, no sugar would be great. Thanks”. Brody went in to order while I found a table for 2 and settled down Molaga who started eyeing the cafe and back at me, begging with his pitiful ‘Poor Me’ whine and soulful eyes. I was just deciding whether to treat Molaga or not when Brody came with a packet of Biscotti and settled onto his chair. And of course one can guess who Molaga’s new best friend would be. The traitorous mutt! He sat erect in his most well-behaved posture in front of Brody as if to say -“Hi! I’m a good dog on my best behaviour. So I deserve a treat!! !” Brody asked if it was OK for him to give the Biscotti to Molaga. And I just nodded my acquiescence. He smoothed Molaga’s golden head while the mutt munched and grunted on his treat relishing it every bit. Brody asked what his name was -? After a few awkward moments of silence, both Brody and I broke into speech at almost the same time. I asked – “So are you from around here…” and he came with -“So do you like living in Auckland?”. And I told him I’ll answer first and replied that “Yeah. I do like Auckland. It’s a melting pot. Love meeting people from different walks of life! It’s been great so far. Knock on wood!”. He leant back and said “In reply to your question, yes actually. I have lived here pretty much my whole life. Best thing about this particular suburb is one gets the best of the country and city life”. I nodded and lapsed into silence. I observed him quietly sitting across me. There was something about him. He seemed to be on edge yet I could sense an inner struggle in him to act normal and relaxed. Up close, I sized him up concluding he probably would be about 5’10 – 5’11, toned & athletic looking, nice features with chestnut-brown hair and bright hazel eyes. A boy next door type. He started replying -“But you don’t deserve…. “Here’s the lady’s Flat White and the Gentleman’s Caramel Latte. Enjoy your coffee”, said the waitress smiling nervously hedging around Molaga. If only she knew Molaga up close. He was such a marshmallow once he gets to know someone. “As I was saying, I shouldn’t have turned on you when all you were doing was try to help”. He took a deep breath and exhaled, looked up at me and said -“I had one of my panic attacks. 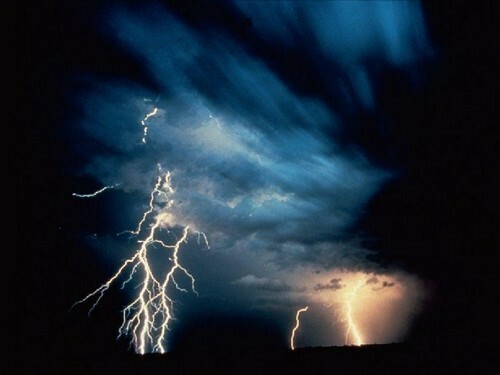 I normally get them when there is lightning and thunder”. I thought to myself, ‘Well that was short’. But didn’t answer any of my questions that were running at the back of my mind. ‘What made an adult like him be scared of thunder and lightning’. I mused to myself – ‘Perhaps a bad experience in childhood!!!’. After we both took a few swigs of coffee, he straightened his spine as if to gather some strength. He spoke in a demurred voice -“I hate thunder and lightning, coz my dad died on one such night. And I get these attacks because it reminds me of that night…..images of a heavy downpour, flashing lightning and the horrendous sound of cracking thunder….fills my ears”. I didn’t want to interrupt him looking at him lost in painful memories, his eyes losing a bit of the brightness it had earlier. He looked up with a drooping sad smile and pulled himself together saying – “Look at me telling my life’s story to a complete stranger”. I thought to myself that some of his behaviour at least made some sense. And my hand reached out to him on its own to comfort his palm, I squeezed his hand gently as if to reassure him. He seemed embarrassed by his opening up to me the way he did and his cheeks flushed a bright tomato red. He withdrew his hand from mine. I told him, “This is perfectly fine. Did you know it helps if you actually talk about your issues”. He nodded accepting I was right but I knew in my heart that he didn’t buy that philosophy one bit.